We feel highly privileged to celebrate the fourth anniversary of NeltaChoutari. The continued support of our valued readers and contributors along with untiring efforts of the editorial team consisting professional experts of Nepalese ELT from home and abroad is the secret behind the successful journey of Choutari. The Information Communication Technology integration into Nepalese ELT has brought revolution which was propelled by a team of six editors (Shyam Sharma, Bal Krishna Sharma, Prem Phyak, Sajan Kumar Karn, Kamal Poudel and Hem Raj Kafle) working independently and voluntarily for the publication of online magazine on the web. As the editorial reads above, the previous team of Choutari has handed over the responsibilities to young promising leaders of Nepalese ELT to maintain the chain of change for sustainability. The new team members were nominated based on their contributions on the blogzine and their potentials to contribute the professional forum to a large extent. We wish the new team of Choutari a thriving time. May the commitments from the new team to contribute Nepalese ELT to a large extent! It is only readers and contributors who influence the course of a magazine. Ideas are equally important. Not all ideas can be identified with one person or one faction. As we have witnessed the shift of the responsibility to the new team members after four years’ journey of Choutari, we need the power of ideas and the vision of our readers and contributors to lift the Choutari intervention out of the rut. On the special anniversary occasion, our valued readers and contributors of Choutari have expressed their views adding wonderful ideas along with the best wishes to the new team. Please read on before you post a comment adding yours. Your views and opinions are always counted on for the promotion of the webzine. Choutari has provided an instant, active, and living medium for the NELTA community to virtually come together, interact and catch up. I assume few will disagree that Choutari now represents the soul of this organization. I believe there is a greater number of teachers, who quietly enjoy and benefit from this inspiring forum than is apparent. No doubt it should be expanded and promoted. However, honestly, I do not think I have any wonderful ideas to promote it though. What comes to my mind instantly is that participation should be encouraged more by acceptance and guidance rather than intimidation. Finally, of course, my best wishes to the new team! I heard about NeltaChoutari in the 15th international conference which I attended for the first time but I could not understand what it is about. After I joined M. Ed. at Kathmandu University and started exploring different ELT articles on internet in order to complete my assignments during studies, I came across Choutari where I found different relevant articles. Later I also contributed the blog with my three articles as it has been helpful for my professional development. Now I regularly read the articles published here and comment on them. Similarly, I like to read the comments as well since they are helping us to write professional articles and get them published in other venues. Here I would like to suggest everyone to send the articles based on our experience to the forum to promote Choutari. They help the readers reflect on the situation and think of alternatives to improve it. Finally, my best wishes to the new team for their success and I hope we will get chance to read more significant articles of our context onwards! Right now, Chautrai is the only webzine which features and promotes ideas and works of Nepali ELT experts, professionals and teachers. In a way, this is a great space for ideas, resources and innovations. However, the webzine needs to add more variety in the content, for example, a podcast or a video of interviews or workshops or conferences. 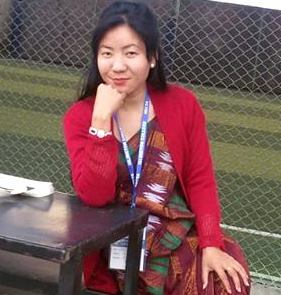 That way, the focus could also include the ‘spoken’ English of Nepali English language teachers. I’m sick and tired of watching videos of foreign experts and ELT professionals on youtube. So, that’s my expectation, at least one interview a month (either in audio or a video format), or audio/video recordings of workshops/presentations, etc. Thus, the new team could have not only editors, but also few journalists or reporters. Hopefully, this idea doesn’t get discarded. NeltaChoutari is the wonderful webzine for all the readers who are involved in teaching learning activities and also for those who are interested in ELT. It is the place where professionals can meet and exchange their ideas, views, experience, etc through this webzine. This is very helpful for those who want to share their experience and who want themselves keep updated with new teaching technique along with teaching method. What I found is that it is playing very instrumental role for improvement of Nepalese ELT and it is the matter of great happiness for all of us. It can be more effective if it covers some more space including more articles, views, interviews, experience of those who are experiencing this field and from those who are fresh or new along with encouraging new readers to read and get benefited. At last I want to express my hearty gratitude to those professionals who have contributed a lot for this wonderful webzine. Because of their effort and hard work, Choutari has reached such height. And I would like to wish ALL THE BEST and GRAND SUCCESS to new team of the webzine in coming days. I think NELTA Choutari is a handy companion for ELT practitioners and a valuable asset as well. I read almost all of the articles published in this website. They all are useful and helpful for the English language teachers no matter whether they are primary teachers or university professors. It has been now a small library for us, as we can retrieve the archived articles in category-wise/ theme-wise or date-wise. Yet some we are looking some features in it. Some more themes should be included here, such as small scale research for language teaching, i.e. action research, case study, and specimen of project work for English language class. I think these topics are very much needed for the school teachers nowadays. To extend its service area, even hard copies should be published. Finally I would like to extend my sincere gratitude to the past editors who successfully accomplished their task during their tenure, and have been able to bring this online magazine in this status. And I hope the future editors will be able to make the “NELTA Choutari” better and better. I wish them a success of their working period. Since the beginning of Choutari, I am one of the regular readers of this and consulting the ideas and articles presented in different issues, I have been able to solve so many academic confrontations. In the mean time there is no doubt about the wide coverage of its audience, still I think if this is made like the webmail through yahoo like that of NELTA, it can have more coverage. I would like to extend my heartfelt thanks to the previous team of editors and I would like to congratulate the newly formed editorial body. Moreover, I hope that the professionalism in ELT will enhance more in the upcoming days as well. Now it is the time for you to post a comment adding your views like above – Please consider three things while expressing your views (1) your feeling/experience about/with Choutari (2) your wonderful ideas for its promotion (3) finally the BEST WISHES to the new team.